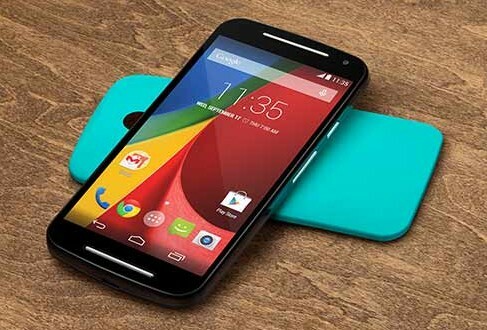 If you’re a Brazilian citizen, you might have already seen that the new Moto G LTE 2014 is now available for purchase, although its price seems to be a bit too much compared to the original price of the Moto G 2014. Considering the fact that the upgraded Moto G LTE 2014 comes with faster internet and even an extra microSD card slot, it still doesn’t warrant the $350 price tag retailers in Brazil have slapped on it. We are not too familiar with how taxes work in Brazil, but we can assume that the Moto G LTE 2014 got a load of them. Anyhow, at least it’s live. Many people were wondering if Motorola would release the Moto G LTE 2014 like it did last year with its predecessor and we finally have confirmation, so that’s nice. Besides LTE and a microSD card slot, there’s not much difference between the Moto G 2014 and the Moto G LTE 2014, so you’re basically paying for the extra functions and that’s about it. While the phone does cost around $350 in Brazil, we don’t expect it to cost more than $200 when it hits the U.S.
To be fair, Motorola decided to up the ante a bit when it came to Moto G LTE 2014 specs, adding in a bigger battery that measures 2390 mAh, which is a pretty big step ahead compared to the 2070 mAh the original model launched last year comes with. Since you’ve got LTE on board, your battery will probably suffer a bit more, so we think it was a good call on the part of Motorola to enhance battery capacity. The battery does weigh the phone down a bit, increasing its weight from 149 g as it was on the 3G only model to 155 g. That’s not too disconcerting, so it shouldn’t be a deal-breaker. For the sake of comprehensiveness, let’s see what the Moto G LTE 2014 has to offer: dual-SIM (which is nice), 16 GB internal storage (which is nice, too), and it comes with Android 5.0 Lollipop out of the box! The greatest part is that you won’t have to fiddle with OTAs if you buy this gadget, which seems like a good choice considering that it’s an entry-level/mid-range smartphone. We hope that once it hits the U.S., as it should sooner or later, its price will drop a bit, otherwise it wouldn’t be such a great investment. Next Neptune, Have Mercy, now on Kickstarter and Steam Greenlight!